Home > What is Mycology? Mycology is a branch of biology dedicated to the study of mushrooms and fungi. A very exciting and beneficial area to be currently involved in. Although mushrooms have been picked and used by humans since pre-historic times and have always been part of life on earth, they have not been fully studied and researched until recent times. There is amazing potential in mushrooms for a variety of different uses. Most obvious is the fact they are an excellent food source packed full of vitamins, nutrients and minerals but there is so much more. They can also be used to cure disease and prevent illness, extract metals and contamination from the earth, absorb oil from spills, clean runoff water from farms and industrial areas and even influence our lives through religion. We have only just begun to unravel the full potential in mushrooms and fungi. Mycoremediation is a significant tool for restoration, replenishment, and remediation of Earth's overburdened ecosphere. The cultivation of different mushroom species can help to tip the scales towards Nature's favor, creating viable benefits for all inhabitants of our sensitive planet. 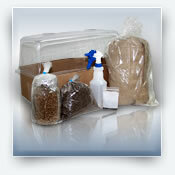 Growing mushrooms is spreading in popularity with todays society. 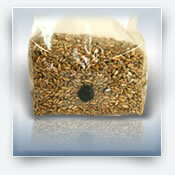 It is great fun and creates a viable food source and agricultural business, however there is much more. Mushrooms and fungi can be used as a powerful tool for healing our damaged planet. Through restoration, replenishment and remediation we can reduce the burden we have put on mother earth. Major concerns are on our minds such as depletion of resources, loss of habitat, and release of toxic substances into the environment, well there is a better way to do things and all you need to do is put in a little effort to learn. Maybe then we can change the destructive path we are on and keep life thriving on earth. "Farmers, gardeners and scientists have long known about the importance of healthy soil. Human populations have ebbed and flowed according to the carrying capacities of their environment and the food chain it provides. But despite our long history with our environment, we know surprisingly little about the ground beneath our feet. And yet, it is the very soil upon which we depend that is in dire jeopardy. Unless we begin to understand and utilize the dynamics of soil creation, the matrix of life on this planet may begin to unravel. Genetic diversity and resilience could suffer to the point of mass extinctions, the scope of which could be comparable to the cataclysms of 60 million years ago. These extinctions appear to be underway we are noticing only the more obvious victims. Covering most all landmasses on the planet are huge masses of fine filaments of living cells from a kingdom barely explored. More than 8 miles of these cells, called mycelia, can permeate a cubic inch of soil. Fungal mats are now known as the largest biological entities on the planet, with some individuals covering more than 20,000 acres. Growing outwards at one quarter to two inches per day, the momentum of mycelial mass from a single mushroom species staggers the imagination. These silent mycelial tsunamis affect all biological systems upon which they are dependent. As they mature and die back, panoply of other fungi quickly come into play. Every ounce of soil does not host just one species, but literally thousands of species of fungi. Of the estimated 1 to 2 million species of fungi, about 150,000 species being mushrooms, we have catalogued only about 50,000, of which 14,000 have been identified with a species name. The genetic diversity of fungi is vast by design, and apparently crucial for life to continue. Waves of mycelial networks intersect and permeate through one another. This interspersing of mycelial colonies is the foundation of soils worldwide. Although seemingly undifferentiated under the microscope, the ability of fungi to respond to natural disasters and sudden changes in the environment are a testimonial to their inherent intelligence. I believe that mycelia are Earth's natural Internet, the essential wiring of the Gaian consciousness. The recent creation of the computer Internet is merely an extension of a successful biological model that has evolved on this planet for billions of years. The timing of the computer Internet should not be construed as a happenstance occurrence. Sharing intelligence might be the only way to save an endangered ecosystem. The planet is calling out to us. Will we listen in time? The lessons are around us. Will we learn? The vast, interconnected mantle of mycelia reacts quickly to the availability of plant and animal debris, recycling carbon, nitrogen, sulfur, iron and other essential elements. When storms, floods, volcanoes, or other natural disasters wreak havoc on the environment, fungal champions come to the rescue, capturing debris with mycelium and beginning to recycle. Humans have the unfortunate distinction of creating more debris than any other organism on this planet. We have become the new natural disaster. From our minor significance in the biological world only 10,000 years ago, our population is now over 6 billion, continuing to rapidly increase, taxing resources and stressing habitats beyond their maxima." Knowledge is the key to using this fungi technology to our advantage. The more we know about mushrooms and what role they play in the balance of the planet the better we can utilize there power. 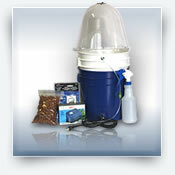 Growing mushrooms from home using a mushroom kit is a good starting point for opening your mind to the possibilities. Once you have experienced the process and know the basics of how mushrooms live and grow you can duplicate that on a larger scale on your own property or neighborhood. Every city, state, town has a need for mushrooms they just don't know it yet, and why? Because there is not enough people with the knowledge to spread and teach it. This is your chance to join the Mycomovement and get growing!